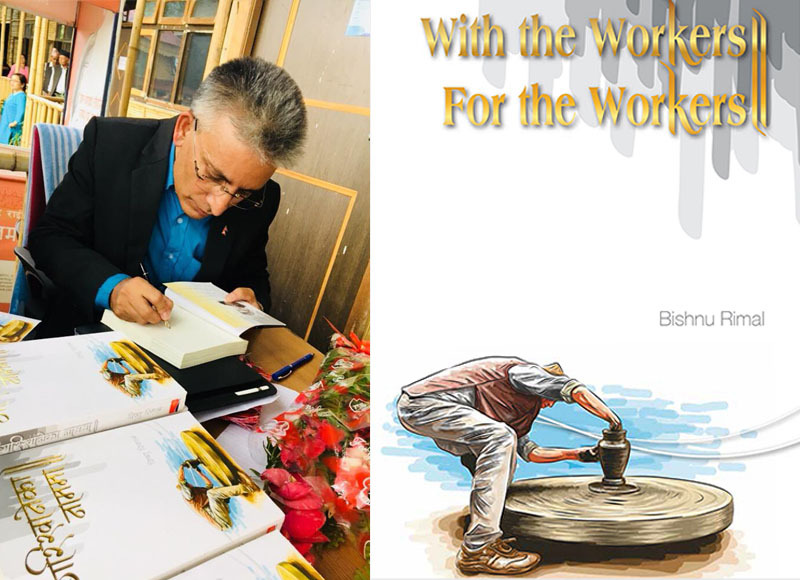 Interaction Programme on the Book “With the Workers, For the workers” written by the Chief Political Advisor to the Prime Minister of Nepal and GEFONT Patron Cde. Bishnu Rimal, has been concluded in Kathmandu. During the programme organised by the Ghost Writing Nepal, various speakers discussed about the significance of the book. Speaking about the book, GEFONT Patron Cde. Rimal said that “the book is collection of his speeches on different occasions.” He also informed that the recommendation of GEFONT colleagues made possible to publish the book. He revealed that the book included 116 myths with real events and issues of trade union movement and the target audiences of the book are activists of the Trade Union Movement. Cde. Rimal expressed that perspective towards the trade unions must be changed and no one should feel embarrassed to be a worker. He also pointed out that the relationship between the workers and the employer and their different perspective on common issues. On the occasion, Dr. Tara Nidhi Bhattarai said that “Rimal is one of the few politicians, having capacity of writing in contemporary political issues.” He recommended that anyone who wants to be politician must read the book and it is good source of knowledge to the young generation. The book is available both in Nepali and English Versions.